Why would I require surgical removal of a toe nail? 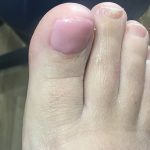 If I have a nail that is ingrowing into the fleshy sides of the toe causing pain, and infection. If I have a fungal or thickened nail that has become unmanageable. The most common nail surgery we carry out is partial removal (avulsion) of an offending piece of nail. The digit is first injected on both sides with Mepivicaine, a common local anesthetic. 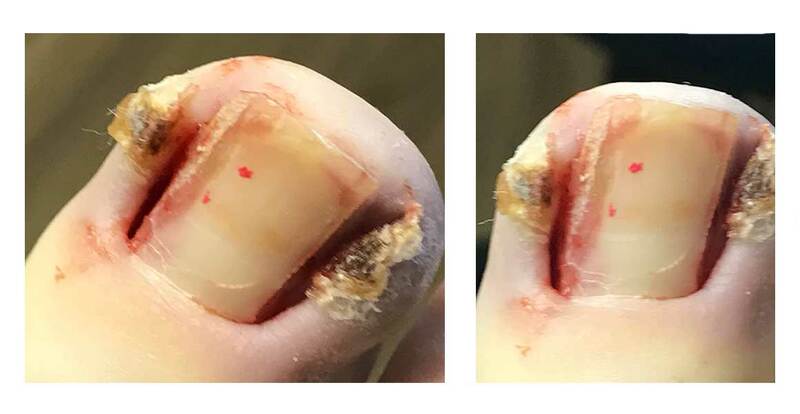 When the area is numb, the Podiatrist will perform an onychectomy in which the nail along the edge that is growing into the skin is cut away (ablated) and the offending piece of nail is removed after which the nail matrix is applied with a chemical or acid (usually phenol) to prevent re-growth. This leaves the majority of the nail intact, but ensures that the problem of ingrowth will only recur in 2% of cases. A similar procedure can also be done for the complete nail, or bilaterally, where the nail remains but is ablated on both sides. 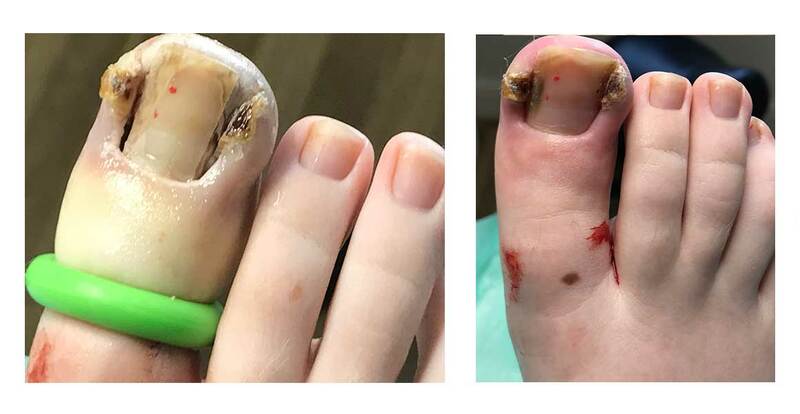 We generally advise a complete month for healing although it can be a lot quicker than this, and to rest the foot as much as possible post surgery for at least one week - excess bleeding can negate the effects of the phenol, and too much friction can initiate an infection.